Petal Talk: Ready or Not This Magnolia Will Finally Bloom! Ready or Not This Magnolia Will Finally Bloom! 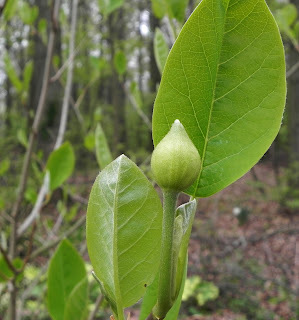 I don't know if the mild winter and spring had anything to do with it, but after at least six years in the ground, Magnolia seiboldii has more than a dozen buds on its branches! This somewhat finicky Magnolia is native to Eastern Asia and blooms in late spring. (Or at least that's what the literature says.) I call it finicky because it needs enough light to prompt blooms but not so much that the leaves become scorched. Its flowers are white with a red center and are said to be fragrant. Who knows how long it will be before it opens. I'm keeping my fingers crossed that the buds don't get damaged by frost or eaten by deer. Another Asian native that has been slow to become established for me is Mukdenia. It's bloomed each spring for the past several years, however, it's grown into a very modest plant since I got it nearly five years ago. (Did I mention that I usually buy just one plant at a time to make sure it does well before spending more money?) Anyway, I DID buy another one but it was crushed in the big white pine take-down. 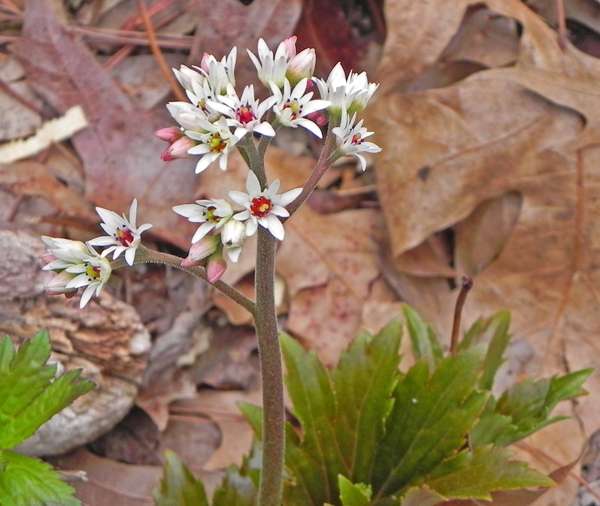 By the way, last year the Mukdenia was in bloom at this stage on April 26, nearly a month later. 'Bloomerang' is as early as the rest of the lilacs in my garden. 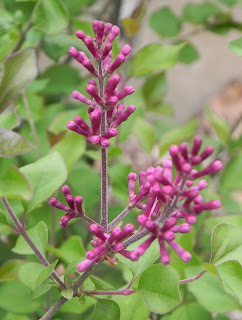 Smaller in leaf, stature and flower size, I like this little gem because it's not a space hog. It doesn't get a whole lot of direct sun, (probably around 3-4 hrs/day) but it's been blooming sporadically if not heavily for the past couple of years.